Twitch: Yesterday i visited one blog King i have known for a while now +Soki Briggs , And believe me, Soki is one hell of a game freak you will never get to know about until you spend some quality time with him. Often time we were together, he was seen on an online game streaming portal named Twitch, playing League of legend. Curiosity killed the cat right? Yea. While we were together, i discovered that almost 80% of his time has been spent on twitch.com and he invariably had spent more time on the platform dealing with his favorite game "League of Legend." "Hi Soki," why waste your time playing this game with no gain"? I asked him. Now his reply is the reason i am writing this post. Sure you don't expect me to mention any other thing rather than "Money." Soki revealed to me that the platform can be a window to the flow of thousands of dollars to ones' account, if and only if you are better in what you do. You know how i reacted right? Wow! Twitch.com is an online gaming portal,founded in June 2011, Twitch is the world’s leading social video platform and community for gamers. Each month, more than 100 million community members gather to watch and talk about video games with more than 1.7 million broadcasters. Twitch’s live and video on demand platform caters to the entire video game industry, including game developers, publishers, media outlets, events, casual content creators, and the entire esports scene. One good thing about this gaming platform is that it lets users generate lots of cash by just playing their favorite or trending video games on the platform. Cash gifts as high as $10,000 has been seen donated to gamers by other community members that were impressed by the way these gamers manage to control and defeat their opponents. The game streaming platform is recommended for any game lover or good game player with the interest of monetizing their hobbies.Let me reveal to you that alot of guys are already taking this gaming platform as their major source of revenue. So i would not advise you to waste your time on playing games without generating income from it. Make reasonable cash from what you love doing, get your laptop and internet connection ready and begin the playing. 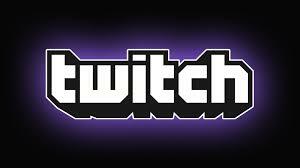 Interested persons can create an account on twitch HERE. I am yet to give this a try since i am not a game freak, but with what i have seen Soki do so far, i think i am having a burning desire to be a gamer on twitch for the sake of the dollars *winks*. I love when you say Hi or say something good. Use the comment box below to tell me about what you think about this service, your trials and your experience on it and i will be glad to reply you asap.